The annual Great Backyard Bird Count has begun. Counting takes place this weekend, February 12 – 15. The event was started in 1998 by the Cornell Lab of Ornithology and National Audubon Society. It was the first online citizen-science project to collect data on wild birds and to display results in near real-time. You might be wondering why a bird count that originated in North America is held in the coldest month of the year. The reason was to create a snapshot of the distribution of birds just before spring migrations begin in March. Several years ago a change was made and the count went global, creating snapshots of birds wherever they are in February regardless of seasons across the hemispheres. On February 2, 2011, Chicago had one of its epic snowstorms that shut down the city for a few days. 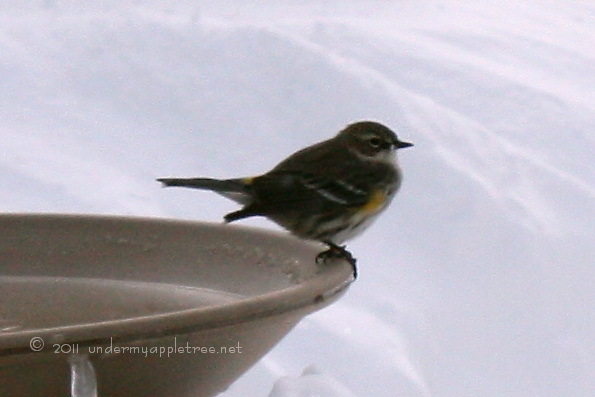 The morning after the storm a Yellow-rumped Warbler was outside my window taking a drink at the heated bath. Chicago is on the northern edge of their winter range; most warblers migrate much further south. Unfortunately, I was unable to include him in my Backyard Birdcount observations. The count dates were still several weeks away and by then the bird had moved on. However, a visit from a warbler in the middle of winter was still a special treat. I count in several places. 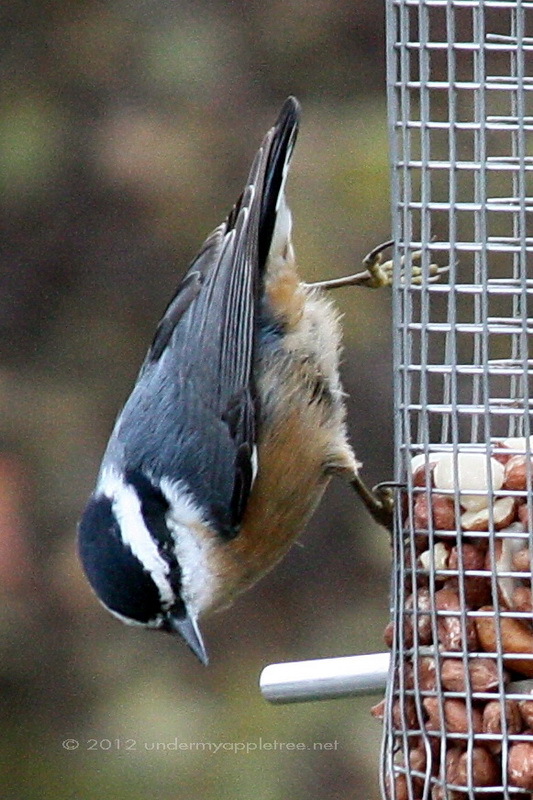 The easiest is my backyard where I have several feeders and a regular crowd of birds. 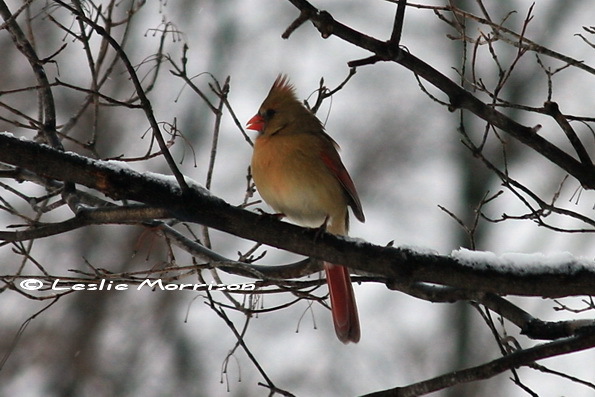 I can always count on cardinals, finches, woodpeckers and sparrows to stop by for a meal. I also count on the trails at the park and the forest preserve, weather permitting. With the cold temperatures we are having this weekend, I am counting in my backyard where I can look out the window and not freeze. If the weather was nicer, and windchills were not below zero degrees F, I would be walking at the forest preserve. 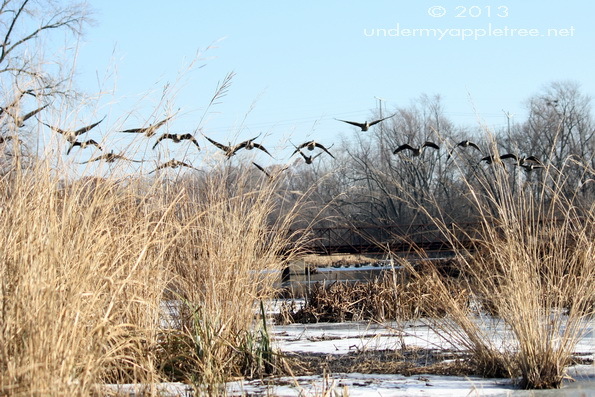 Canada Geese are now year-round residents in the Chicago area. They can often be found along rivers or roosting in large fields (making a mess!). Thanks so much for sharing this, Leslie. I haven’t seen a Yellow-rumped Warbler in years. I see them every year during migration, but it’s rare to find one toughing out the winter here. What a beautiful post! The photos are very lovely. Leslie, I am glad that you are involved with this. Hey, what are they doing at Churchill Woods?? Cleaning? that looks quite radical! Also: are you going to BEA as it’s in Chicago this year? They do burns every year to clear leaf litter and invasive species, but this year they are doing some additional restoration. I’m the bird monitor for that area so it will be interesting to see what changes it brings to the bird population. Yes to BEA. I haven’t signed up yet but I am planning on going. thanks for the information on he Woods. Yes, I was thinking about the effects on birds! Yeah! will finally get to meet you!